I’ve always loved thunderstorms. There’s just something about the strobing flashes of lightning, the low grumbling of thunder and the insistent tapping of the rain that plays like a flawlessly conducted symphony orchestra. There’s just something I’ve always found very relaxing, very meditative about a good thunderstorm. 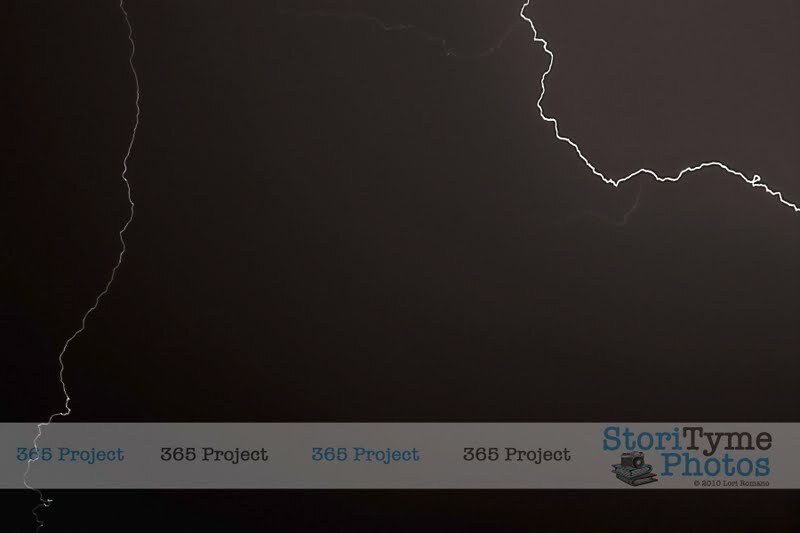 Yet this time of year, a thunderstorm can quickly turn from a majestic display into an unimaginable nightmare, as the residents of Joplin, Missouri and Alabama are well aware. It is still early in the season, and there have already been a record number of powerful storms and tornadoes. It makes you wonder what the rest of the season will bring. There was a time in my life when I wanted to be a storm chaser, but I was never interested enough in math and science to really want to learn the ins and outs of meteorology. In the summer of 1998, I did manage to get a couple of pretty decent photographs a tornado forming, touching down, and then dissapating in a farmer’s field a few miles from where I stood on the edge of the highway. Now that we have moved to Nebraska, Steven has developed quite a curiosity about tornadoes. He was even excited to participate in his very first Tornado Drill at work. After asking me what I remember doing during Tornado Drills in school, Steven was expecting to have to exit his office and quickly proceed to the designated Tornado Shelter in the basement, where he would be instructed to get down on the floor, curl his body into a ball and cover his head with his hands. Instead, when the siren sounded, Steven and his colleagues proceeded calmly to the Tornado Shelter area in the basement of the building and found that a table had been set up with refreshments and cookies. Needless to say, Steven has a bit of a warped view of what might take place should an actual tornado hit. Neither Steven nor I have ever really been afraid of storms. Instead, we are both quite fasinated by them. Hell, one of our fondest shared memories from college is the day it stormed and we both witnessed a bolt of lightning striking Sieker Hall. We still have a piece of the building we saved as a souvenir and were both quoted in the local newspaper article about the storm. Even better, our fascination seems to have been passed along to our daughter. As soon as she hears the thunder beginning to rumble outside, she wants to go stand out on the porch to watch the storm, and reach her chubby little hand out to touch the rain. I have to admit, I’m proud of her, because I’d much rather she marvel at and appreciate a thunderstorm than be fearful of it. Tonight’s 365 Project entry is dedicated to Nature and all her exquisite fury. I’m sure we haven’t seen the last of the big storms this season, and my thoughts and prayers go out to all those who have already lost so much.